❖ History in Portuguese with romance, seduction, drama, suspense and a pinch of comedy. ❖ Updated every two weeks with new stories and resources. ❖ Be a lover or friend to men and women of various ages and ethnicities. ❖ Your choices decide how the story unfolds. 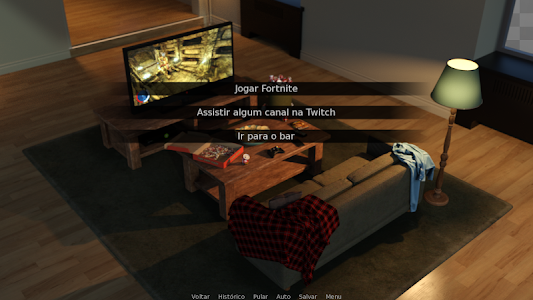 ❖ 100% free (no diamonds, tickets, keys and other crap). ❖ Choose which celebrities you want to conquer. ❖ Collect cards with unheard scenes and landmark moments in the story. 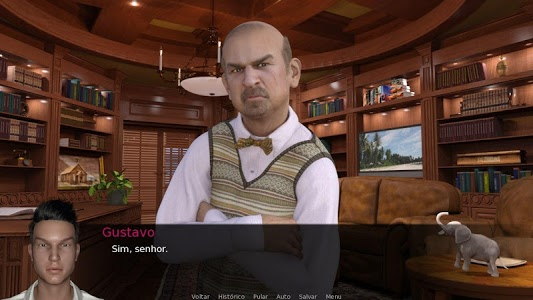 Celebrity Hunter is a free game in Portuguese in the visual style novel with a history determined by the player's choices. You are a newly formed journalist working as a paparazzo who is about to be fired. To avoid the worst, you accept the task of approaching celebrities in any way possible to discover information about their private lives. In Celebrity Hunter you choose how to achieve the goals. Whether through Friendship or Seduction, Sincerity or machinations, you will experience unique stories alongside charismatic characters rendered in 3D using NVIDIA Iray technology. 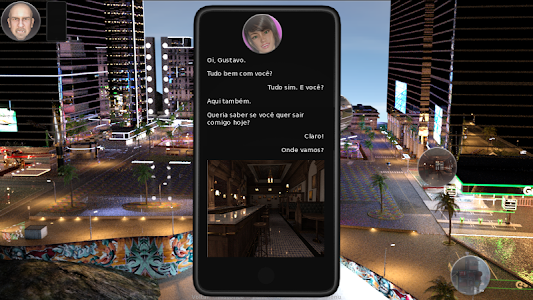 Enjoy unique renders in a story with hundreds of different scenes and several paths to choose from, where each player will reach the end in a different way. Similar to "Celebrity Hunter: Serie Adulta"